"Plantago Maritima" . 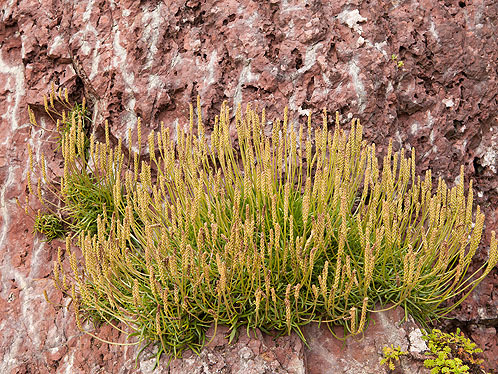 A salt tolerant species able to survive in the splash zone, where a bit a soil has formed in a crack or crevice . Grows on coastal rocks, cliffs, turf, heaths, saltmarshes.